Young tiger Jr NTR and Maatala Mantrikudu Trivikram Srinivas have joined hands for the first time with Aravindha Samedha, which is expected by many, as it comes after their disastrous outings Jai lava Kusa and Agnyaathavaasi. The movie, set at a factionist backdrop is a family entertainer, and currently, team Aravindha Samedha is shooting one of the most important sequences of the movie at a temple at Hyderabad, following which they'll can the songs at exotic locales of Europe. Tarak will be seen in a curly hair getup for a song sequence which will be shot here. Aravindha Samedha will have Jr NTR in dual shades as a family hero as well an action-packed version sporting a 6 pack. 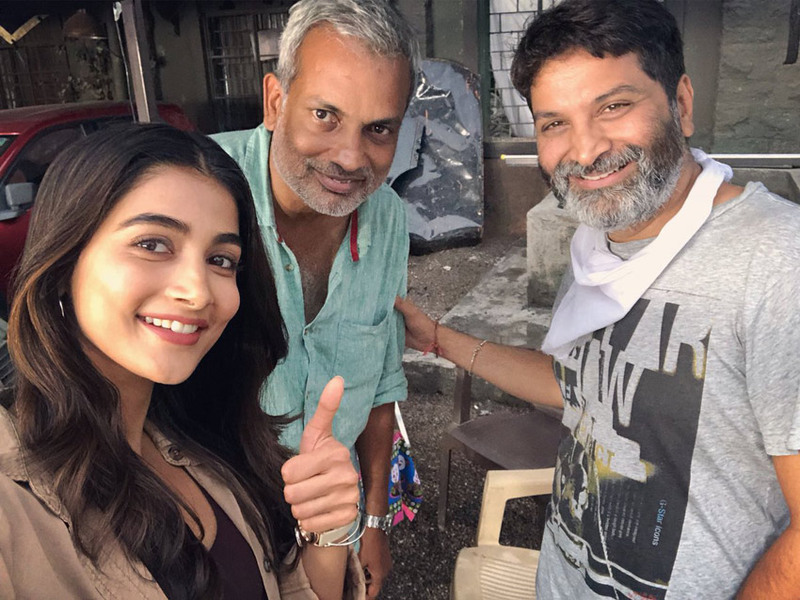 The movie also stars bikini babe Pooja Hegde, Eesha Rebba, Jagapathi Babu and Naga Babu in important roles.